The Pitt women’s gymnastics and track and field teams were both in action over the first weekend of the new semester. One of the program’s most established stars lifted the Panthers on the track, while a fresh face provided a boost for the Panthers in the gym. 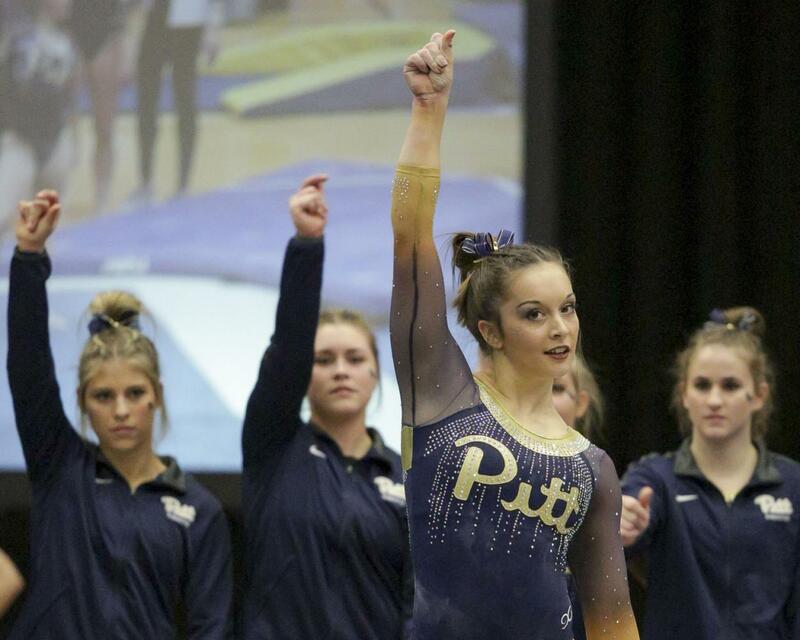 Despite losing a close competition with Oregon State, the Pitt women’s gymnastics team posted its best season-opening score in program history Saturday night, thanks in large part to first year Haley Brechwald. The team scored 194.125 total points, 38.925 of which came from Brechwald’s performances. The team total is almost a whole two points above the total the Panthers posted in last year’s opener. In her first collegiate meet, Brechwald won both the vault and floor events. In the vault, Brechwald posted an average score of 9.825 in her two trials, surpassing Oregon State Mary Jacobsen by .050 points in the event. Brechwald was the best Panther on the floor as well, tying Oregon State sophomore Sabrina Gill with a score of 38.925. Brechwald and the gymnastics team will have another home meet this Saturday, Jan. 20, against New Hampshire at 2 p.m. Following up on last year’s victory at the Nittany Lion Challenge, senior women’s hammer thrower Andin Fosam once again took first place at University Park over the weekend. Coming off her junior year during which she broke the school record in the same event and made it all the way to the NCAA Outdoor Championships, Fosam won the meet for a second consecutive year with a throw of 19.50m. Fosam’s throw eclipsed the distance she posted to win the Challenge last year, which was at 19.31m. Fosam’s performance at the Nittany Lion Challenge puts her back on track to represent the Panthers once again in the NCAA Outdoor Championships this season. The track and field team will travel to Youngstown, Ohio, to compete in the YSU College Invitational Jan. 19.